Which VoIP Provider is the Best? Selecting the best VoIP provider for enterprises can be a daunting task – not because there are insufficient alternatives but because there are too many choices. Even after you discard certain vendors because their products or services do not fit the requirements of your business, there are literally hundreds of companies competing to say you VoIP service. So how do you go about trying to find the best VoIP service? As always in any industry, there will be a handful of providers that offer outstanding service but the prices they charge can also be correspondingly steep. Then there are those vendors that offer a decent amount of features at a reasonable price that will serve the needs of most businesses adequately. At the other end of the spectrum are vendors whose prices often appear to be too good to be true and in many cases they turn out to be just that. VoIPstudio is a hosted VoIP service from Level 7 Systems that is a leading provider in the industry. But what makes it the best in a crowded marketplace? VoIP studio offers not just the basic and advanced features of VoIP that are taken for granted today but also provides some unique innovations to help enterprises manage voice communications more effectively. Transcription services are nothing new and many businesses use them to capture important information from voice calls and recorded video/audio. However the process is still done manually by humans and it takes time for the transcriptions to reach the client. VoIP studio offers automatic speech to text transcription for voice calls which utilizes the latest technology in voice recognition. This feature works on phone calls in real-time as well as archived conversations. But the best part is that this is not a premium features that is locked behind a paywall or additional charges. It is available for free to every client and all their users, without having to jump through hoops or mess about with settings. One of the disadvantages to using hosted VoIP is that voice service depends on the availability of Internet. If your Internet goes down for any reason whatsoever, your organization might find itself without the ability to make and receive calls. VoIPstudio offers Internet failover protection so that even if your business uses Internet connectivity, phone calls can still be routed to a mobile or landline number. It doesn’t matter if the problem lies with your ISP, network equipment or bugs in the software. Your organization can still continue to work and not miss a single phone call. The ability to send and receive faxes and texts is a requirement for many businesses. Although faxing is not as popular as it used to be in earlier decades, quite a few organizations rely on it. In fact any businesses hold onto a landline exclusively for faxing because their VoIP vendor does not offer the digital equivalent. VoIPstudio integrates both SMS and fax gateways into the VoIP service so that organizations do not have to compromise on functionality. In fact faxing is upgraded to suit the needs of modern workflows. Just like email, faxes can be sent and received from a computer instead of having to use a physical machine. 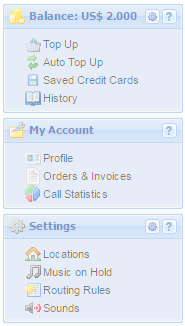 The ability to configure settings online is a standard feature for most hosted VoIP services. However VoIP studio goes one step further and offers a web dashboard that is both easy-to-use and yet faxing all of the incredible features of the service. 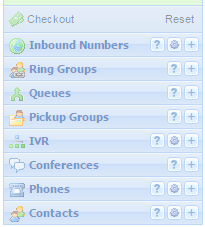 Everything from custom ringtones to setting up caller groups is accessible from a single interface. 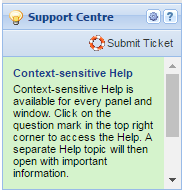 Additionally contextual help is available practically everywhere throughout the interface. This means that users don’t have to contact tech support or customer support for minor issues or help in navigating, , which can save a lot of time. VoIPstudio offers an emergency calling in the US and UK through E911, like all the best VoIP providers. It allows your business to switch over to modern hosted VoIP without sacrificing any of the advantages of PSTN lines. Even mandatory emergency calling access leaves operators scrambling to implement the feature, VoIP studio remains ahead of the competition by offering this option to clients much earlier.